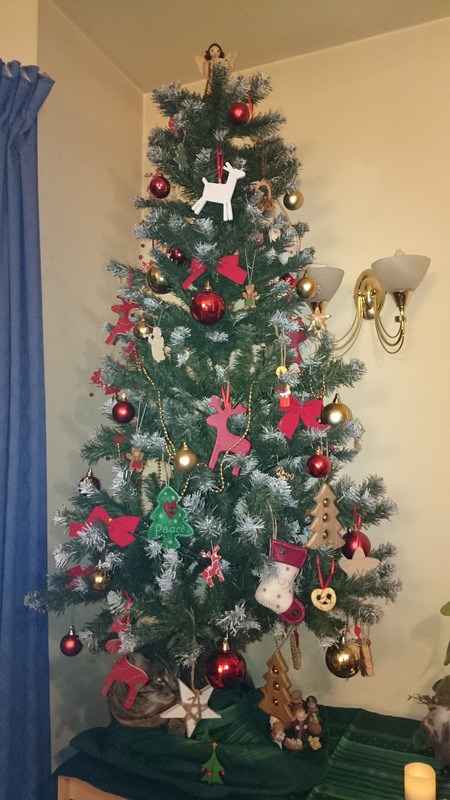 can you see you carefully I draped the cat around the bottom of the tree…. Such a gorgeous, delightfully decorated tree. The cat is priceless, what a beautiful sight. Love the song too, going to share it with friends. Thank you. That was lucky, could have knocked the tree down. Cats are clever, though, so that’s probably why nothing bad happened to the tree. Too true, had it been a goofy big dog, might not have been so lucky, I do love goofy big dogs, though, so funny and cute! He came out carefully, lucky for him…. Beautiful tree – sweet cat :), Ute. My tree will be decorated as of tomorrow – takes me a few days! Did you remember it was Sankt Nikolaus Tag yesterday! Have a good week, Ute. Ein schöner Weihnachtsbaum, liebe Ute. Jetzt fehlt nur noch ein wenig Schnee, dann kann Weihnachten kommen. Der song ist wunderschön. Thank you , gleichfalls Wolfgang! Hallo Ute das ist ein schöner Weihnachtsbaum der Song gefällt mir auch. Hello, vielen Dank, Eine schoene Vor- Weihnachts zeit wuensche ich! Your cat is wearing a Christmas tree hat! Hi Ute, great tree and a lovely cat. I have been working 10 days in a row and my tree is still in my parent’s loft. Hi Ute, thanks for telling me. Sorry for the delay in replying, I have been flat out with work, again! I am working in my day job for 6 days in a row and doing a ton of stuff for my self-employment. It’s never ending. I have big plans for next year, so starting to do all of the things I need to for that. I am going to be launching my embraceyourquirky.com website. I now have an email address, Twitter account @embraceyrquirky and a Facebook page. I still need more Likes on my Facebook page to be able to secure the page name. The same for my new Quirky Academy Facebook page, I need more likes. You are amazing Sandra, I truly admire you, you are full of enthusiasm and passion for what you do. And you ARE doing a fantastic job! Do look after yourself though too and relax occasionally! Thanks Ute, it’s great to know. I don’t know if you would like to Like my new pages? I can post or message you the links. It would be awesome to have your support. I also have a http://www.facebook.com/Sandrabellamyuk page now. He played already with one, but yesterday he seemed not interested any more phew…. I was worried the tree falls down…. I guess the excitement is over! …well for him! A beautiful tree especially with the cat wrap!!!! How lovely to see your tree but I did laugh to see your cat. He didn’t want to miss out on the fun. … and I didn’t notice that he crept up there until I took the picture…. Vielen Dank Klaus, die Zeit geht so schnell, noch 2 Wochen Schule und dann Weihnachten…. Auch Dir eine scheone Woche. That looks awesome Ute, and the cat definitely looks comfortable 🙂 I like the song as well. Nice tree and lovely song. Loved the photos/graphics that were paired with the video! Thank you very much for visiting and enjoying it! Made my own tree decs this year. Just 5 inch toy soldiers and ballerinas from Nutcracker and lights of course. Well done Carl. I bet it looks nice! Ah, my cat is draped the same way! Your tree looks lovely Ute! I just set up our tree but I haven’t finished decorating it: only little mini lights and two little bears – so it looks a little “bear” at the moment! Hope to have it decorated by the third Advent, but I need to find the decorations. Nicht zu uebel, eigentlich! Wuensche dir einen schoenen Tag! Thank you very much my friend. 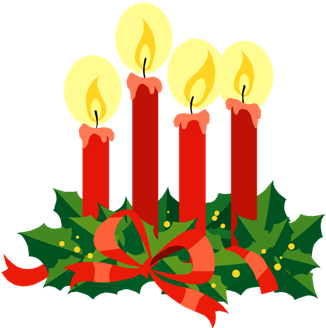 I wish you a happy Advent time ! Danke gleichfalls, es geht so schnell! Lovely tree and Love the cat who looks so comfy under the tree! Thanks Marie. Yes my cat is a natural relaxer where ever he is! Thanks Cathie, love you being here!